©2001-2010 Church Of God in Christ, Inc. Note: All Pastors wives should have licenses, but are not required to take the test. Please contact your Superintendent or District Missionaries for information. 1. Aspiring Missionary License: Every Aspiring Missionary receives this license upon recommendation of their Pastor & Church Mother ($10 Fee). After they are observed for two years they are recommended to the Board of Examination. they are observed for two more years, after which, they are recommend to the Examination Board once again by their Pastor and Church Mother. 3. Evangelist Missionary: Upon passing the Examination, the Deaconess Missionary receives this License. Bishop. After his approval, the Jurisdictional Supervisor makes the recommendation to the National Supervisor who executes the proper procedures in the National. 5. District Missionary: District Missionaries are appointed by the Jurisdictional Supervisor unless recommended by the Superintendents. 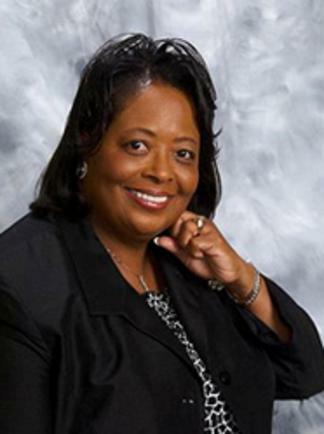 MOTHER MARY K. SIMS was appointed to the position of Supervisor of the Department of Women, for the Missouri Western Second Jurisdiction by Bishop John M. Johnson, Jurisdictional Prelate, on March 10, 2016 at the 16th Annual Ministers and Worker’s Conference. Mary K. Sims is a native of Kansas City, Kansas. She is the second oldest daughter of the late Superintendent Moses Cofield and Missionary Hattie Cofield. She is a Registered Nurse with a Bachelor of Science in Nursing. Mary has served in ministry with her husband, Bishop Ervin Sims, Jr., at the Mount Carmel Church of God in Christ for the last 33 years. She presided as Director of Music and Media Department and Coordinator of the Membership Training Class. She is also a Lay Counselor and Supervisor of Women’s Ministries. Mary is a licensed evangelist and touches the lives of many beyond the walls of Mount Carmel. She serves as keynote speaker for Retreats, Seminars, Revivals, Conventions, and Women’s Day services. She has ministered in Bristol, England; Cardiff, Wales; Ghana and Togo, West Africa, and throughout the United States. One of her greatest joys is saying Yes to God and traveling to Africa each year with her husband on the missions trip and ministering to the women there. This year will be her 11th trip to Africa. The congregation is blessed as she ministers in song and word every fifth Sunday. Through her leadership, God has birthed the Mount Carmel Women’s Fellowship, “Women of Excellence”, which meets once a month. As a result there has been unity and spiritual growth among the women. March 10, 2001, Mary Sims launched an International Women’s Ministry called, “Sarah’s Daughters”. This ministry trains, encourages, empowers, and equips women and girls for ministry. Sarah’s Daughters meets every three months and reaches out to women of all faiths, races, cultures, ages and denomination. In 2003, two additional chapters were established in Ghana. In 2003, Sarah’s Academy International was also birthed in Ghana, West Africa. On June 26, 2005 Mary was elevated to the position of Supervisor of Women for the Kansas East Jurisdiction COGIC. She was officially installed on November 11, 2005 by Mother Willie Mae Rivers at the International Church of God in Christ Holy Convocation in Memphis, TN. She served in this capacity with excellence from 2005-2012. She also serves on the International Women’s Department Special Convention Assistance Committee and was appointed in November 2010 to the Department of Women National Executive Board. Mary is a devoted wife and mother. She and Bishop Sims have been married for forty-five years. They have three children, Lisa Sims Smith (Keith), Ervin Jason (LaSandra), and Angela Jenelle Sims. They also enjoy their role as grandparents with seven grandchildren, Kasey, Keith Donavon, Kristian, Taylor, Jaylen, Ethan and Jayla. Mary is a highly anointed and passionate woman of God, whose time has come to declare the unsearchable riches of the kingdom of God. Her greatest goal is to do the will of the Father and make a difference in the kingdom of God.